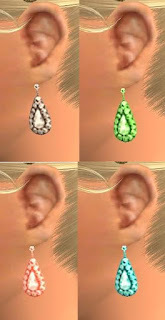 These are The Sims 3 Showtime earrings for The Sims 2. In 4 recolors. Enjoy!